Nike Air Max 95 "3M Neon"
The Nike Air Max 95 “Neon” sees a brand new version for the 20th anniversary of the classic model. Fans of the Nike Air Max 95 saw the closest version to the OG “Neon” a few weeks ago and now, different versions of this classic silhouette will be releasing. 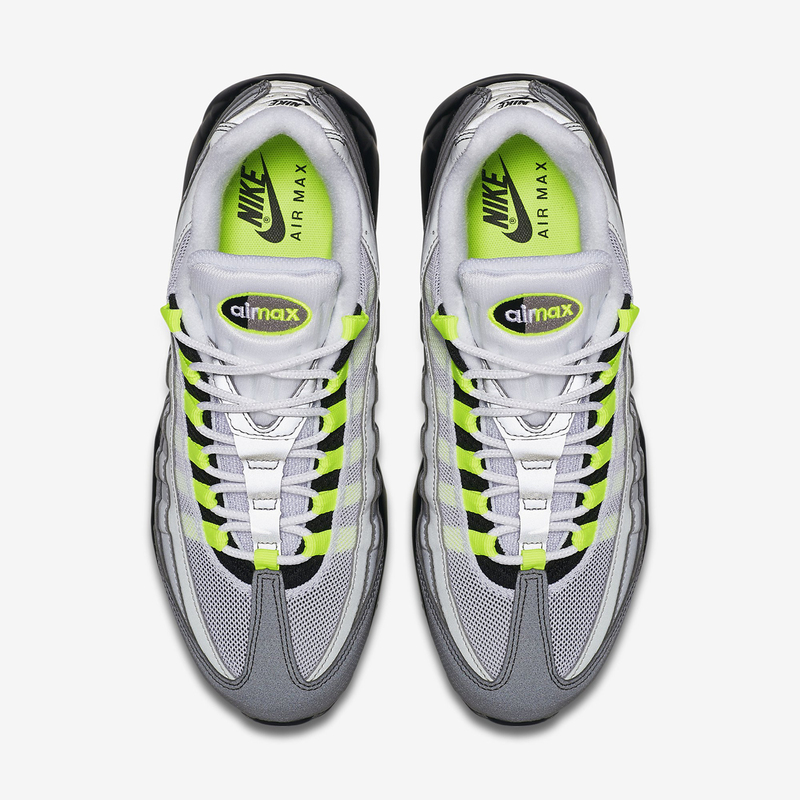 Seen here is a 3M “Neon” 95 that adds lots more character to the already popular colorway. 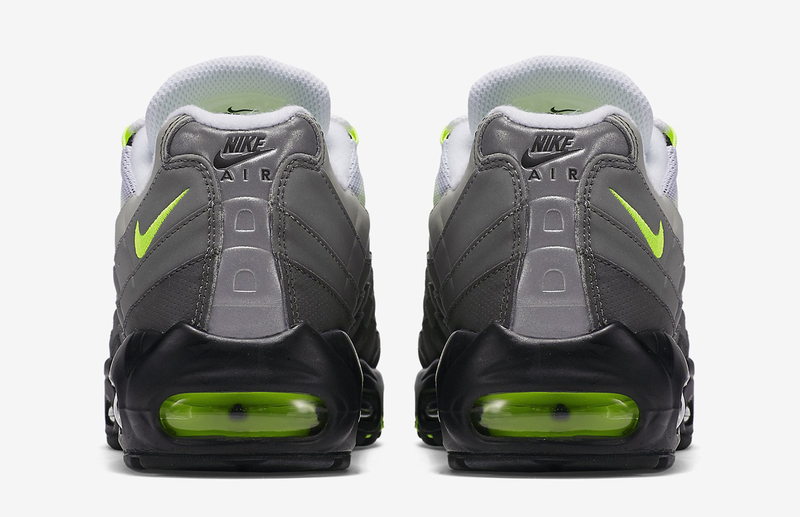 The 95 has everything OG intact including the Neon accents and Grey scale side panels. 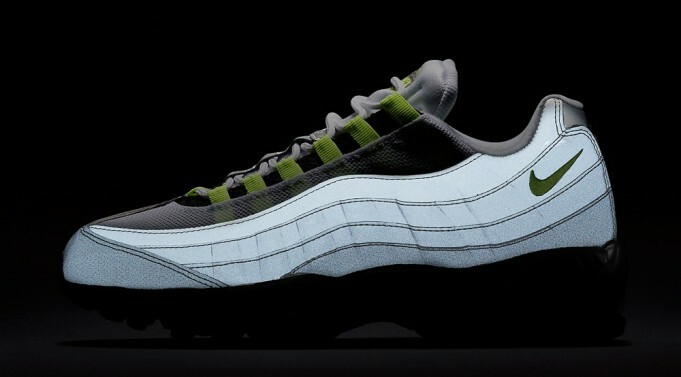 This time, NSW added a 3M take on the uppers making these pop even at night. 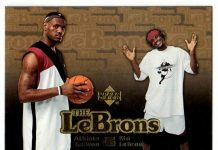 These are set to release later this month so Stay tuned for a release date.